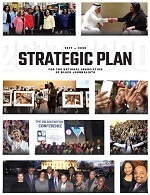 Thank you for your continued support of NABJ and its many educational programs and advocacy endeavors. 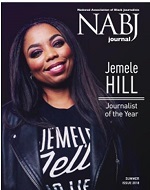 As an NABJ member, you have access to many benefits. One of the most important benefits is the opportunity, every two years, to help elect our association's leadership that will ensure its future path. To review the candidates' information and platform goals, as well as the rules and deadlines, please visit the elections page on the NABJ website here. Please review some key information about our elections process below. The convention will be held Aug. 7-11 at theJW Marriott Miami Turnberry Resort & Spa in Miami.At the convention, on Election Day, you will be able to vote in person in a designated area at the JW Marriott. However, you can opt out of waiting in line by taking advantage of online voting while at the convention, until the polls close at 5 p.m. Final election results will, of course, be announced as soon as possible after the polls close. Thank you for participating in this year's elections. Be sure to vote! Now, let the campaigning begin! And we hope to see you in Miami!